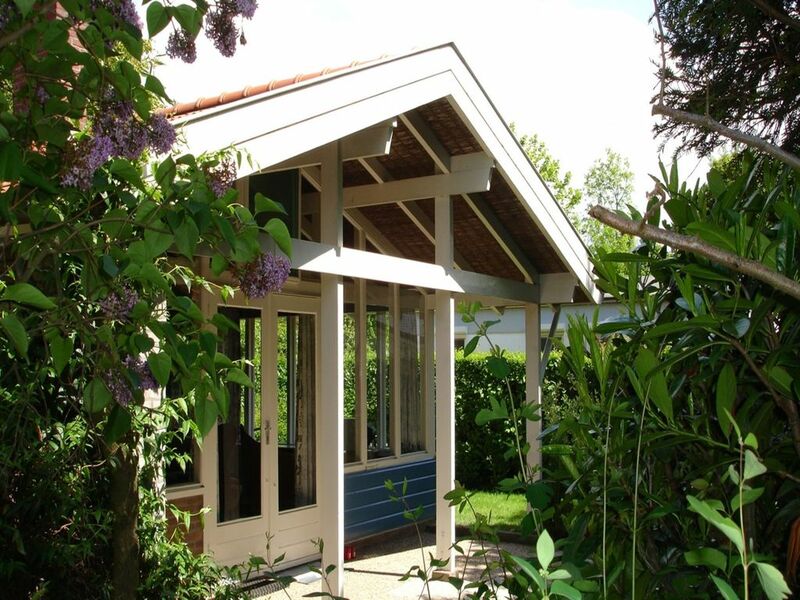 The Leeuwerikenlaan 1 is a cozy 6-person holiday bungalow in the park "De Banjaard" directly behind the dunes at the North Sea beach. In the living room is a cozy fireplace and a cozy sitting area with flat screen TV, and the door leads to the partially covered terrace on the south side of the house. The half-open kitchen is u. a. It is equipped with a dishwasher and a Nespresso coffee machine. The master bedroom with double bed has direct access to the terrace and offers a beautiful view of the garden and the dunes. There is also a bedroom with a bunk bed and a bedroom with two single beds. The bathroom has a shower and a vanity. There is a separate toilet and a small room with a washing machine. The large, fenced garden with plenty of privacy also accommodates 2 cars. - Bed linen: € 8,50 p. P.
- Related beds incl. Bed linen: € 12,50 p. P.
- Towels: € 6,00 p. P.
- Cot / Highchair: € 1,00 p. B.p. T.